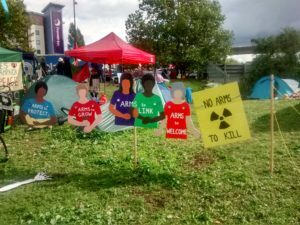 For one week in London’s docklands area in early September people from various parts of the country gathered to protest at two gates to try to interrupt and stop the preparations for the Arms Fair. This is one of the biggest such fairs in the world with some of the most disgraceful and violent governments represented, free to buy weapons to use as they wish, including Saudi Arabia buying weapons to kill the people of the Yemen, others selling, [including the UK of course], without questioning the ethics of their own or the purchasers actions. 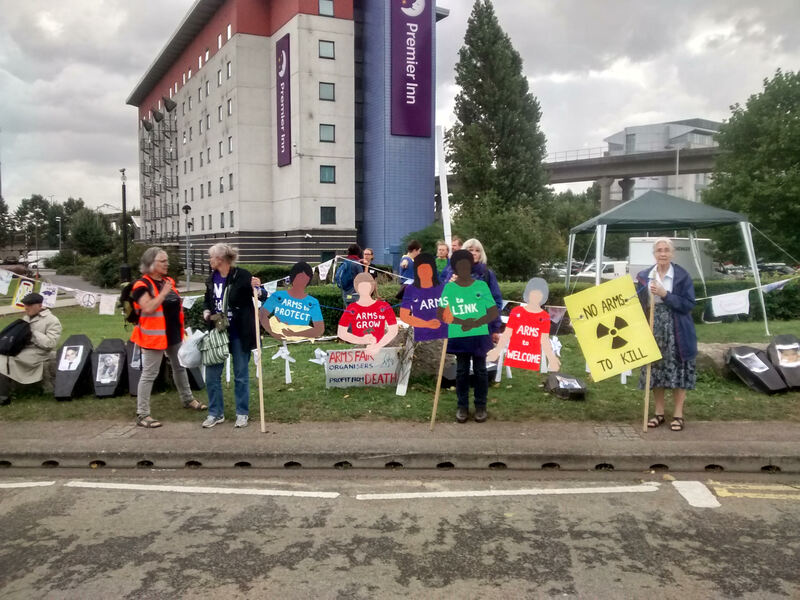 Each of the 7 days was themed and on the Wednesday it was anti nuclear and environmental, with a huge windmill assembled on site and many banners including our washing-line of papier mache life size women from the waist up. There were about 50 people at the gate we WILPF women were at. 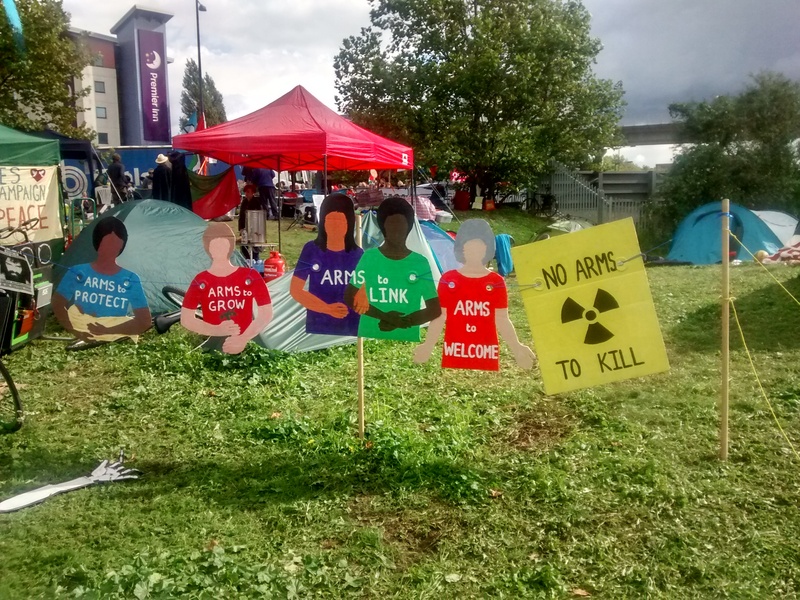 We strung them across the road held up on poles, arms to protect holding a tiny baby, arms to grow holding a plant, arms to link which was 2 people, arms to welcome [refugees], and a placard saying ‘no arms to kill’. At one point at each gate 2 people did a ‘lock-on’ action where they had their arms linked through a concrete tube that was in a suitcase, making it very difficult for the authorities to separate them as they lay in the middle of the road holding the traffic up for hours, a brilliant and brave action. 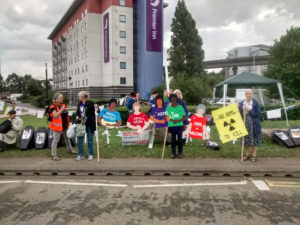 Whilst they blocked the road we filled the area with our banners and props and sang, and I understand the delay caused the assemblers to work overnight to complete their work.